The VersaScan II has reached end of life. We recommend the POS-X ION Linear as a suitable replacement. 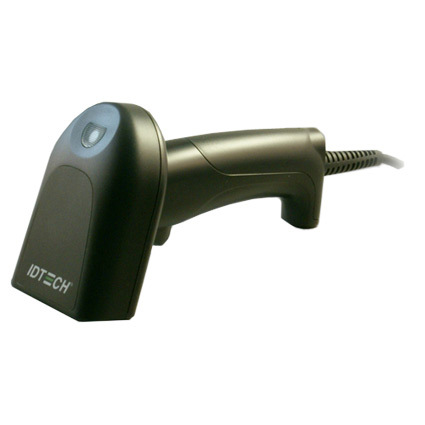 The IDTech VersaScan II barcode scanner is an economical way to add 1D scanning at your business. Offering a great combination of performance and affordability, the VersaScan II is ideally suited for medium volume scanning you´d see at retailers, boutiques, or clothiers. The VersaScan II can read standard retail barcodes from up to 14 inches away and has a top scanning speed of 450 scans/second, ensuring your employees keep lines moving smoothly and efficiently. The lightweight design and lack of moving parts make the VersaScan II a good fit in even rough retail or light industrial applications. Able to survive drops of nearly 6 feet to concrete, the barcode scanner should hold up to accidental drops or bumps that can occur in most day-to-day use. IDTech ships the VersaScan II with a 2-year warranty, ensuring peace of mind for your investment. • Dimensions (W x D x H): 2.72" x 3.46" x 6.29"